Leigh Bardugo was born in Jerusalem, raised in Los Angeles, and graduated from Yale University. She indulges her fondness for glamour, ghouls, and costuming in her other life as a makeup artist in Hollywood, and she can occasionally be heard singing with her band. 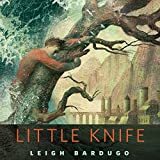 CLICK HERE FOR MORE BOOKS BY LEIGH BARDUGO. The Grisha — (2012-2015) Publisher: Surrounded by enemies, the once-great nation of Ravka has been torn in two by the Shadow Fold, a swath of near impenetrable darkness crawling with monsters who feast on human flesh. Now its fate may rest on the shoulders of one lonely refugee. Alina Starkov has never been good at anything. 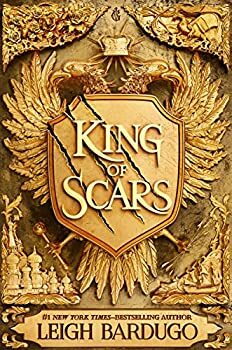 But when her regiment is attacked on the Fold and her best friend is brutally injured, Alina reveals a dormant power that saves his life—a power that could be the key to setting her war-ravaged country free. Wrenched from everything she knows, Alina is whisked away to the royal court to be trained as a member of the Grisha, the magical elite led by the mysterious Darkling. Yet nothing in this lavish world is what it seems. With darkness looming and an entire kingdom depending on her untamed power, Alina will have to confront the secrets of the Grisha…and the secrets of her heart. YA can be more fickle than its literary cousins. It’s notorious for trends. There were wizards, vampires, and what feels like a decade’s worth of dystopias. The result is a glut of books with sassy female protagonists who discover they have a unique power, are fighting to save the world, and struggling to decide which hunky love interest to pick from in their love triangle. Shadow and Bone doesn’t do anything groundbreaking in terms of avoiding these tropes, but what it does do is tell them in a fresh and innovative way. Six of Crows — (2015- ) Ketterdam: a bustling hub of international trade where anything can be had for the right price–and no one knows that better than criminal prodigy Kaz Brekker. Kaz is offered a chance at a deadly heist that could make him rich beyond his wildest dreams. But he can’t pull it off alone… A convict with a thirst for revenge. A sharpshooter who can’t walk away from a wager. A runaway with a privileged past. A spy known as the Wraith. A Heartrender using her magic to survive the slums. A thief with a gift for unlikely escapes. Six dangerous outcasts. One impossible heist. Kaz’s crew is the only thing that might stand between the world and destruction―if they don’t kill each other first. 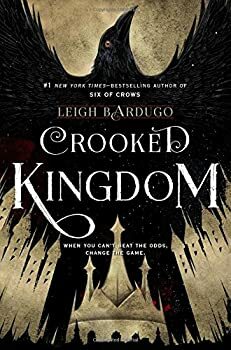 Leigh Bardugo, best known for her GRISHA young adult magical fantasy trilogy, explores a different corner of the Grisha world in her new young adult novel, Six of Crows. In the city of Ketterdam, an analog for Amsterdam, criminal gangs control the waterfront, and the surrounding area is a den of iniquity where everything can be bought and sold, including people. One of the gangs, appropriately called the Dregs, is led by 17 year old Kaz Brekker, nicknamed “Dirtyhands” because of his willingness to stoop to any level to maintain and grow his power and control. His young crew has been gaining in power and influence during the few years he’s been in charge of it. Note: This review contains spoilers for Six of Crows, the first book in this duology. 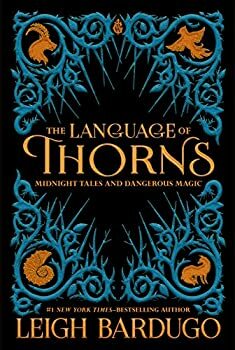 The Language of Thorns (2017) is a collection of six stories and novelettes by Leigh Bardugo, dark and lyrical folk tales set in her GRISHA universe, in the Russian-inspired country of Ravka and other nearby countries. These are stand-alone stories, unrelated to the specific characters and events in the GRISHA novels. This tales might be told on a dark night by a villager living in Ravka.